I have a friend who reminds me–just by knowing her–to be strong, believe in myself, and to whole-heartedly be passionate about life. I wanted to send in one of my biggest girl crush’s my friend, Yana. Yana is from the Philippines and has lived on both US coasts (LA/BK) and is currently a gypsy. An urban, wandering, chef gypsy. SALO a moveable Filipino pop-up dinner. It is a literal moveable feast. Salo, derived from “Salu-salo” which means a dinner party, is designed as a gathering of the curious ones, adventuring for deeper understanding of native feasts. It was born from the realization that, despite the rising popularity of Filipino cuisine, it is not fully represented outside of the country. 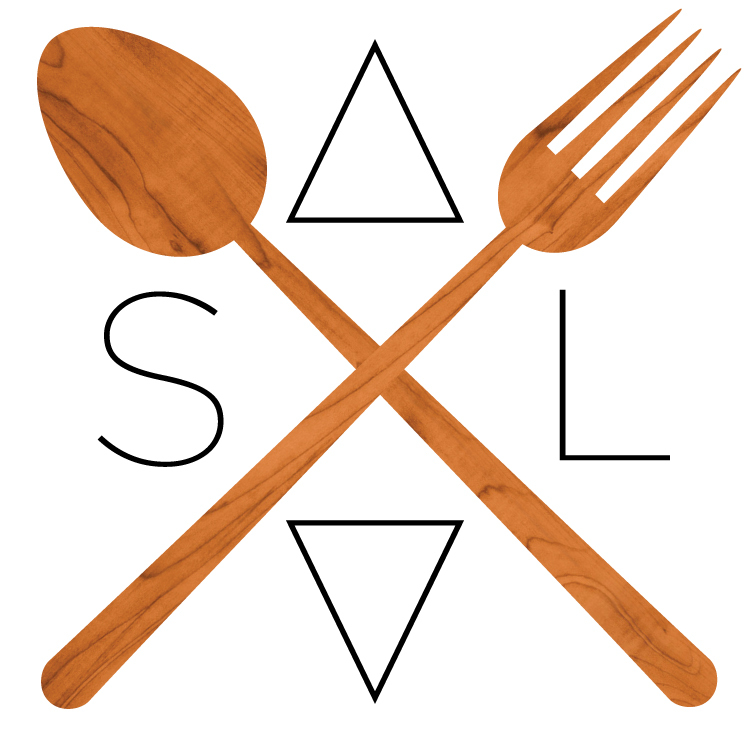 SALO aims to raise community and cultural awareness through food. Yana Gilbuena, a designer and creative, started SALO as a means of bringing people together through this cultural and culinary journey. By applying a designer’s perspective, Yana creates a dinner experience that is carefully orchestrated to showcase the dialogue between dishes: how the flavors and textures interact; the sequence and flow; as well as the interaction between the diners, as they’re exploring the Philippines through their palates. When I met Yana, she was like myself (and I am assuming a lot of our generation), working a job or jobs she could care less about while finding other ways to fuel her passion and purpose. We bonded over many things (one being that we share the same birthday). The strong part of the glue of our relationship was food. Living a block away from each other we would often cook and eat together. When over at Yana’s she would introduce me to Filipino cooking, flavors both familiar and unfamiliar but always beyond delicious. In 2013 Yana got bitten by the pop-up dinner/supper club/underground dining bug. She started working with people who organized these types of events and then started putting on her own dinners, centering around the not well known cuisine of the Philippines. Her cooking is good. Real good. She learned from her Grandmother and has self taught her self the rest. I believe that Yana became beyond passionate about exploring her culture through food and sharing that with people. She became inspired. She eventually got to the point where she needed to do this in a bigger more-real way and had the vision of taking her pop-up dinners on the road and share them with the rest of the country. States she has never been to, cultures (read - the MIDWEST) she has yet to experience since moving to this country when she was 18. Yana become dedicated to making her vision a reality. By the end of 2013 she had quit her job, sold all of her things, gave up her Brooklyn apartment, came up with a plan, found a company interested in promoting what she was doing, linked up with a Filipino charity she would donated % of her profits to and hit the road. Did not look back, no questions asked. Traveling state to state (by GREYHOUND BUS) and hosting a pop-up dinner in each new territory is not easy. Yana is such a special person–only she could arrive in a foreign place, usually knowing no one and couch-surf while prepping an epic feast in a few days and fill a room with paying locals to enjoy that state’s special Salo Dinner. The dinners are always different. When Yana gets to town she works to find local ingredients to incorporate into the dinner and teams up with local food companies (breweries/butchers/fish mongers/urban farmers) to create collaboration. And SELL TICKETS. She does after all have to eat and get herself to the next state. It is an incredible journey. Yana is incredible. She had a vision and figured out how to do it. She decided to follow her dreams by giving up comfort and security and truly put her potential and will power to the test. I find myself daydreaming about her travels. Leaving everything behind to follow my heart and see what I can make for myself out of this world. I haven’t got as far as she has and my journey may not ever by as “epic” but it feels good to know it can happen. I saw it happen! Yana gave me that belief and through her strength I find myself embracing personal challenges with that kind of dedication, self love, and steadfast mindset. I want everyone to have that feeling, that you can do it, it is possible. That is what Yana has given to me. Arizona, Nevada, California, and Hawaii check out the last few stops of her tour!